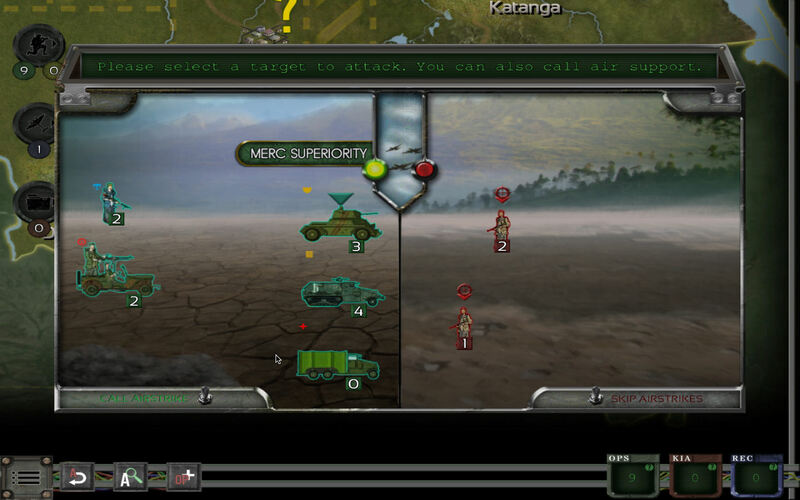 Based on the board game by Decision Games, Congo Merc includes everything from hostage rescue to tracking down Cuban cadre. 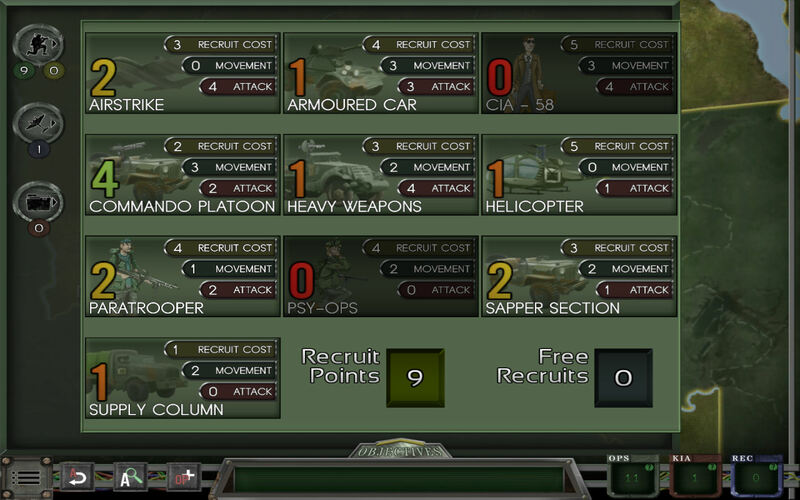 You recruit from a variety of unit types, including jeep-mounted commandos, light armor, sappers, air support, paratroopers and many others. 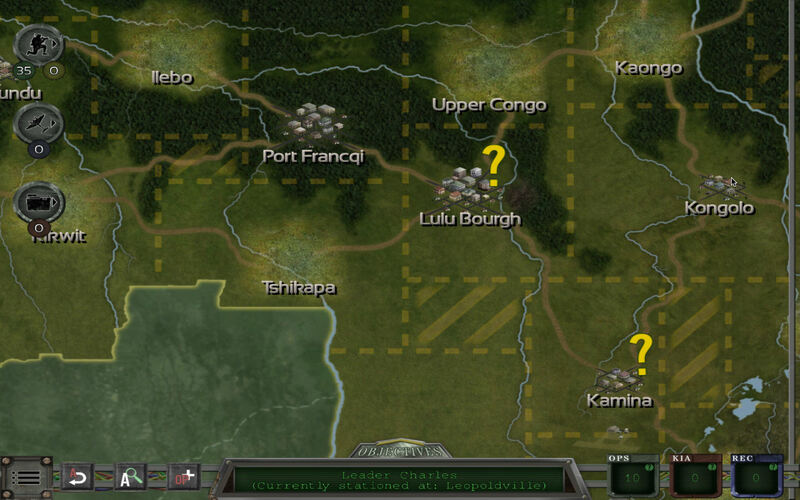 Once a task force is organized, you maneuver it into the Congo. The map covers the entire country, and when a force enters certain points an event occurs. 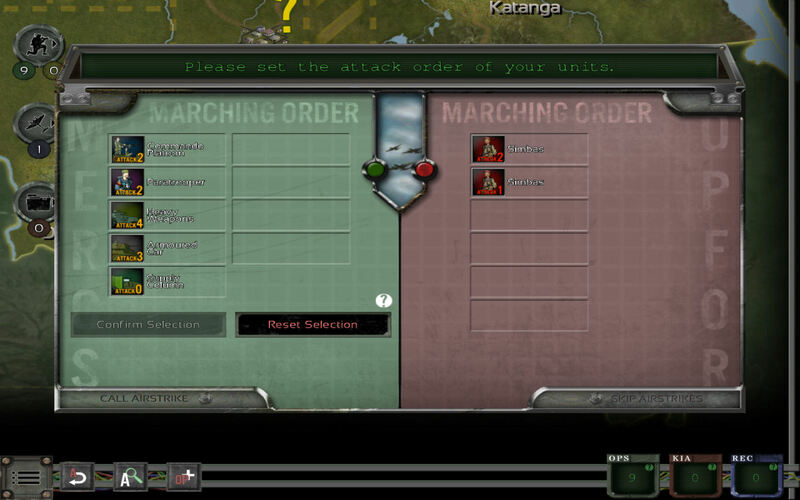 Events can include anything from UN intervention to ambushes by enemy fighters. Combat is resolved via a quasi-tactical procedure in which both tactical superiority and firepower play their parts. Easy to learn with included tutorial. Depiction of any historical actors or parties in the game should not be interpreted as approval or support for any social, religious or political movement or theory, which those parties held or practised.